１）Murata A, Takada H, Mutoh K, et al. 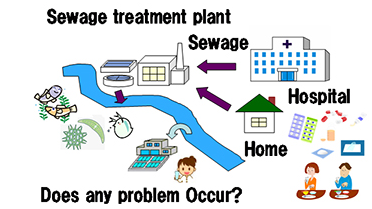 : Nationwide monitoring of selected antibiotics: Distribution and sources of sulfonamides, trimethoprim, and macrolides in Japanese rivers, Sci Total Environ, 409:5305-5312, 2011. 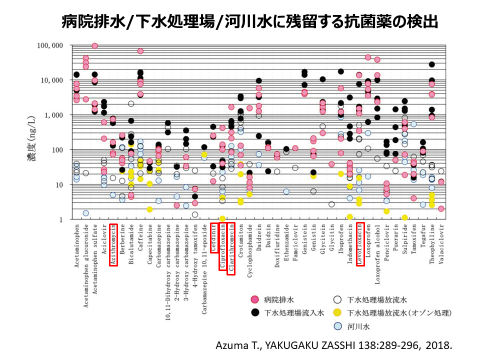 ３）Azuma T, Otomo K, Kunitou M, et al. 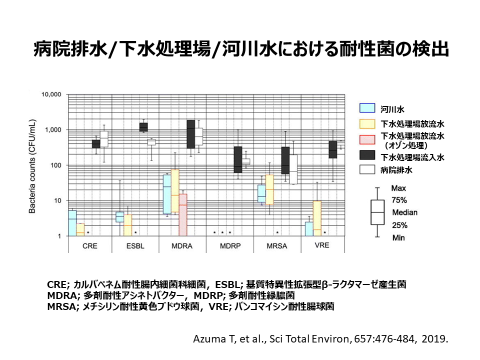 : Environmental fate　of pharmaceutical compounds and antimicrobial-resistant bacteria in hospital effluents, and contributions to pollutant loads in the surface waters in Japan, Sci Total Environ 657:476-484, 2019.